National Panel of Assessors | MAX Solutions. Your contribution to your workplace is incredibly valuable. Workplace assessments are designed to help you and your employer implement supports that will enable you to settle into your job. The National Panel of Assessors (NPA) is part of Disability Employment Services (DES) and provides a range of assessment services to support employment service providers. As a member of the NPA, you may be referred to us by your DES (Disability Employment Services) provider to undergo a workplace assessment. Our friendly and qualified assessors will contact you to arrange a time to visit your workplace. We will take the time to get to know you, your role and your employer. We will then identify and assist in the implementation of any changes that will help you to feel supported in your role for the long term. If you are a DES customer with MAX, your consultant will facilitate workplace assessments with another member of the NPA. 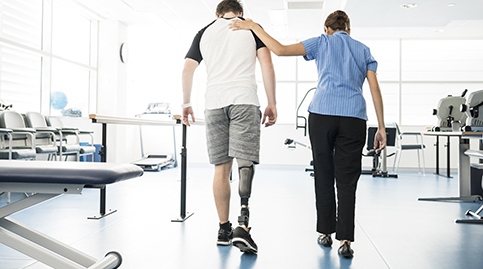 Many people with an injury or disability receive full pay, however if your injury or disability affects your productivity, this assessment may be suited to you. This assessment is designed to review all of the factors involved and help you to reach an agreement with your employer regarding a fair wage. Identifies the level of assistance that you might need to carry out your role successfully into the future. Our assessor will listen to how you are going in your job, the effectiveness of existing support, any changes in your health, your role or your workplace since your last assessment and any other relevant factors. They will then make recommendations for changes to ensure you receive the support you need to thrive in your role.